1977, Wimbledon, England. Virginia Wade, English former tennis player. She won three Grand Slam singles championships and four Grand Slam doubles championships, and is the only British woman in history to have won titles at all four Grand Slam tournaments. She was ranked as high as No. 2 in the world in singles, and No. 1 in the world in doubles. 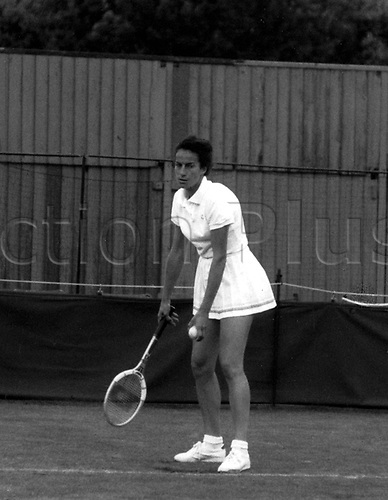 She won the women's singles championship at Wimbledon on 1 July 1977, in that tournament's centenary year, and remains the last British woman to have won a Grand Slam singles tournament.